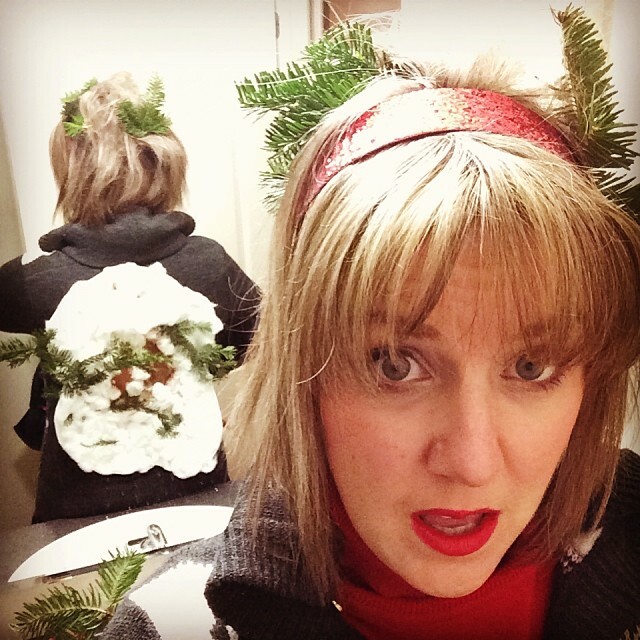 Everyone is having these tacky sweater parties – tis the season, of course! Once upon a time, these hideous ( or magical depending on how you look at it) sweaters were an easy find at your local thrift store but since the rise in popularity of these parties, they’re harder to find and we’ve got to get creative. 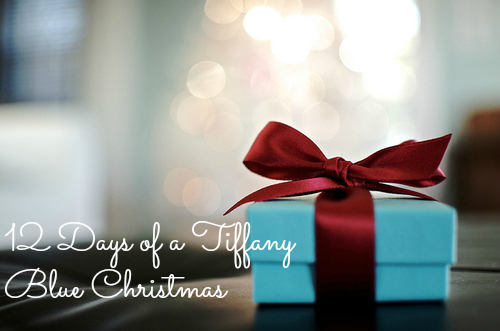 This year, I was prepared to come up dry until I got hit with some last minute inspiration. The result? 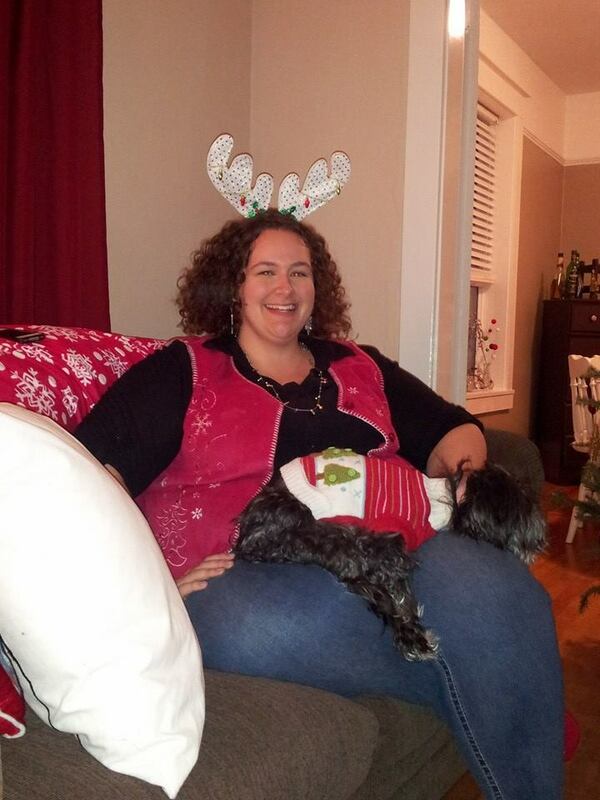 Well, let’s just say… Someone got run over my a reindeer. 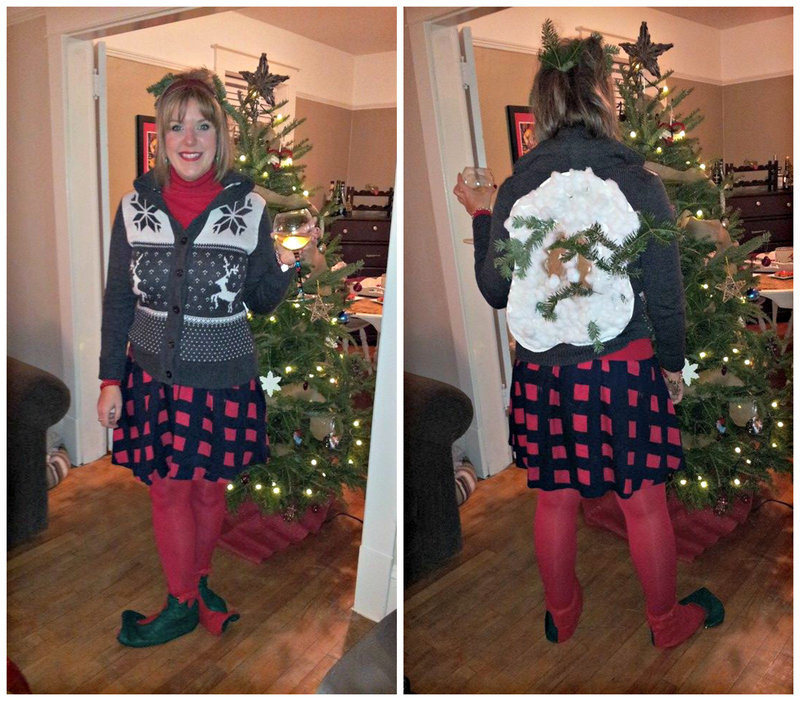 Growing up, I was always a fan of the song “Grandma Got Run Over by a Reindeer” and after finally scoring a reindeer sweater after looking all over town, I was struck with the genius idea to make the ultimate tacky sweater creation. The end result, scored me the honor of winning best tacky sweater and as a result, winning $160 to donate to a charity of my choice: no surprise, I chose the local SPCA animal shelter. Here are a few more great sweaters and creations from the night! The lovely B rocking that holiday bow! 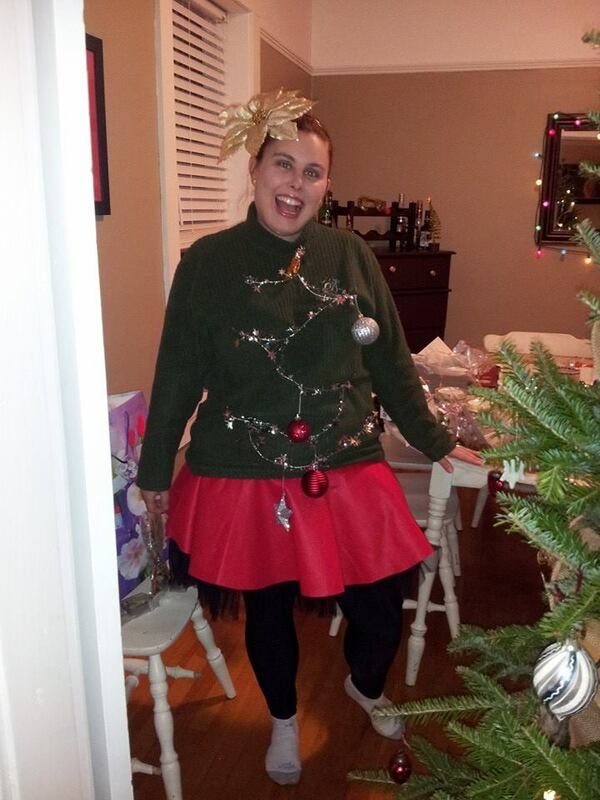 Our favorite Christmas Tree – the pretty Heidi! 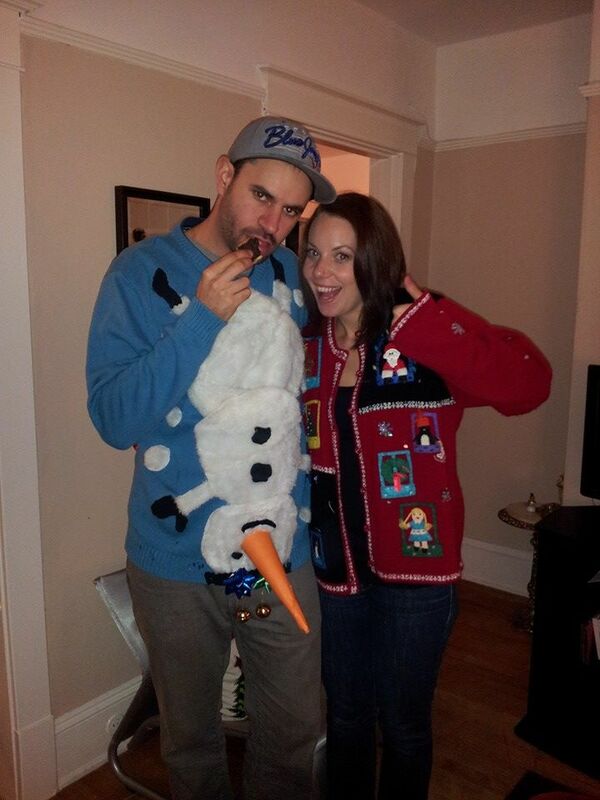 B’s scandalous hubby the snowman AND! BEST SURPRISE! Tiffany surprised us by flying home a day early all the way from Australia! Lastly, the fabulous host – Amy! And a sleepy Hershey! Thanks for another great party Amy! So – do YOU have a great tacky sweater to share? Tweet me a photo OR join in on the fun on Instagram by posting your answer along with the hashtag #12daysofaTBChristmas. Can’t wait to see all of your amazing creations! Tomorrow, we talk the Christmas gift you’re most thankful for! Things may get sentimental up in here! 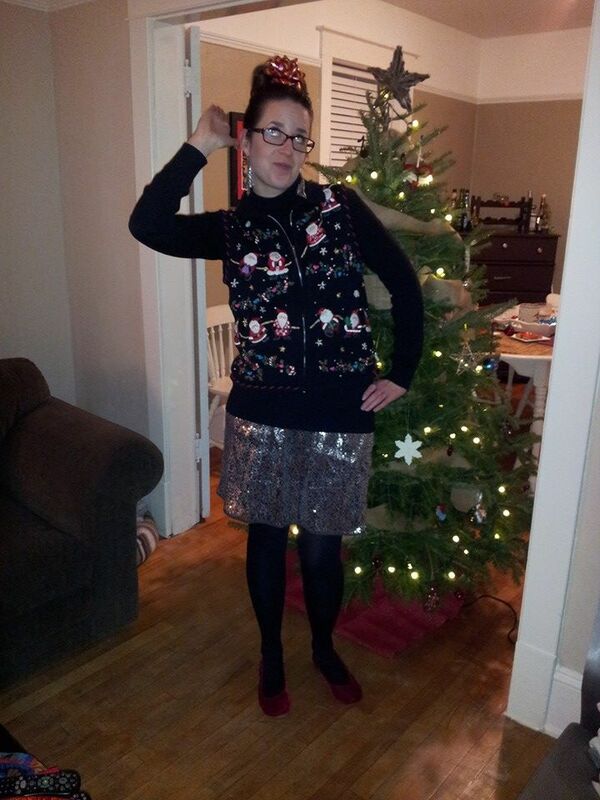 The tacky Christmas sweater craze hasn’t made it here yet…so I’m sitting this one down. But you can bet I have some Christmas theme tights to debut the day after tomorrow and they’re AMAZING!